Indie Ales, who did an excellent Stouts and Porters tasting for St Patrick's Day are back for St George's Day with a tasting of English Ales. Charlie will tell you everything about the beers your drinking, and be able to answer any other questions you have on the beers. "We English are a passionate bunch and thankfully so are our brewers. The current crop of English breweries are reinventing the traditional beer recipes which put us on the map as world champions of brewing. After a few years in the lower leagues we are now combing modern technologies, crafty imagination and using some of our country's highest quality ingredients to produce world-beating craft beer. 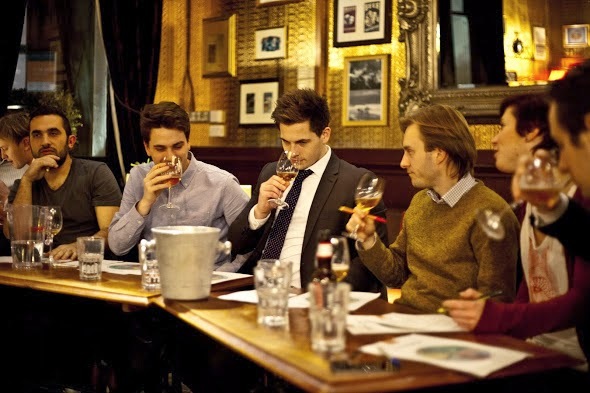 This tutored beer tasting will celebrate the best of English beer teamed up with with classic English bar snacks which will want to make you scream "I love England". We will be proudly waving the Flag of St George and toasting the best of our country's most popular beverage! What better way to celebrate the festival of our Patron Saint. Hurrugh! Price includes all beer and bar snacks paired with each beer. Advance tickets only."